How Long Will The Precor EFX 245 Last? Despite Precor's overpricing, we cannot deny the quality build that the EFX 245 has. Precor is one of the leading brands in the elliptical market and has spent many years perfecting their build. This type of expertise will more than likely translate into a very durable, long-lasting elliptical. Thus, we would recommend the EFX 245 for a serious user who enjoys workouts on an every-other-day basis. On a side note, please be sure to take good care of your elliptical. While we can assess the quality of build, we cannot guarantee the longevity of an elliptical that is not properly maintained. We often discuss the balance between fashion and function and how one should determine the value of a machine based on its features. When someone is paying this much for an elliptical, the criteria for spending a few hundred more becomes a little more critical. 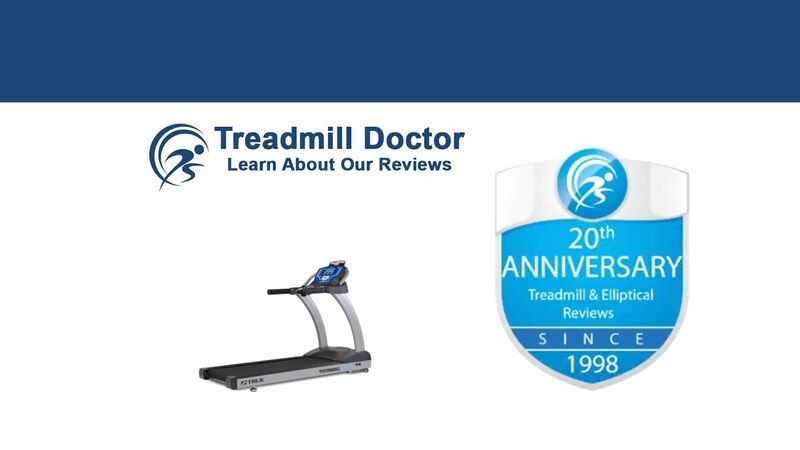 Subsequently, we have decided to place Precor's EFX 245 in the Runner-Up slot among of 2019 Best Buys in the $3,000 to $3,999 dollar category because we do not see the minor console updates as justification for the price jump. Even though the EFX 245 is still built with good quality and is one of Precor's more affordable models, there simply is not much added value that is worth the high price tag. We have decided to rank the EFX 245 at the bottom of our Best Buy because we are not pleased with Precor’s pricing. The EFX 245 is an identical elliptical to the EFX 225 from the build, incline capability, cross-ramp structure, all the way to the warranty. The only difference that you receive is the upgraded console. Precor has equipped the EFX 245’s console with what they call “Preva;” this is a program that connects your elliptical to your device through an app. We call this expandable platform programming which basically means that your elliptical can communicate your workout data to your device so the app can sort and analyze your efforts. While this can be a convenient feature, the EFX 245's console is not touchscreen and cannot connect to the internet. Hence, we simply cannot see how this Preva programming is worth an additional five hundred dollars. The EFX 245 already has a high price tag because of the Precor name; by adding subpar value and charging more, the EFX 245 becomes an overpriced elliptical. Despite the high price, the EFX 245 still is a Precor. Precor is one of the leading brands in the elliptical market due to their high-quality products. Like the EFX 225, the EFX 245 comes with a durable frame that is inspired by Precor's commercial frame. This frame will more than likely provide many years of quality use. Additionally, the EFX 245 comes with the same sixteen resistance levels and twenty-five percent incline ability that are part of Precor's cross-ramp design. The cross-ramp design uniquely provides stride variation along with the challenge of an incline and is one of those features that are unique to Precor. Lastly, the EFX 245 comes with Precor's same standard five-year-parts and wear items, three-year console, and one-year labor warranty. This warranty does add a decent amount of value as it is backed by a reputable company. We have said that Precor’s EFX 245 is the same as the EFX 225 with a few console upgrades. Our previous reviews have not seen the additional console features as justification for the price jump and have recommended buying one of the four hundred series models that offer more value for the price. Though the EFX 245 comes with Precor’s well-engineered design and high-quality build, it is basically the same elliptical as the less expensive EFX 225. The only difference is a subpar console that, in our opinion, is not worth the additional five hundred dollars. While we do find value in Precor's ability to build a strong elliptical, we do not think that the EFX 245 is worth the money. Thus, we have placed the EFX 245 in our Runner-Up slot among our $3,000 to $3,999 dollar 2019 Best Buys. We would recommend this elliptical to a serious user who can find it on sale.